Whether you have a classic solid fuel, wood burning or you have a gas burning stove, you may have need for a new closure plate. The Deluxe Stove Register (Closure) Plate may be the ideal choice for your situation for a number of reasons from providing a visually appealing enhancement to ensuring heat doesn't escape through your chimney. The piece is finely constructed from durable steel, so it will last you for years to come. Even in colder climates, where you may get more use out of your stove, this plate is engineered to last. The Deluxe Stove Register (Closure) Plate is dressed in heat-resistant black matt coating and comes in two sizes to fit most pipes. You can either select the 5" or 6" flue pipe. Every plate comes equipped with twin inspection hatches for your convenience. One of the plate's most attractive features is that it can be adjusted, allowing you to customize it to your situation. The plate can be adjusted left to right, as well as front to back, making it especially versatile. Making use of the Deluxe Stove Register (Closure) Plate will help you conserve heat and resources, while adding an attractive piece to compliment your stove. 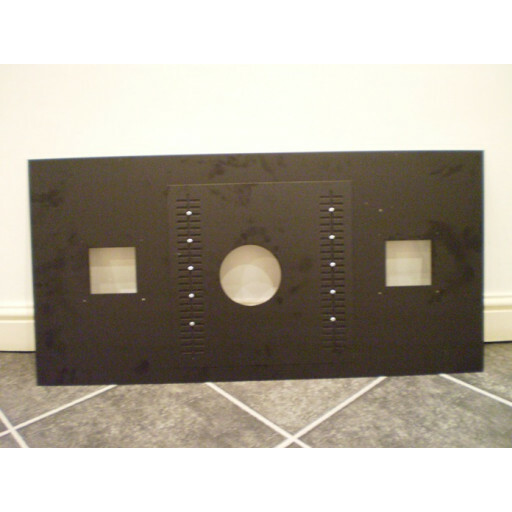 You can rely on this closure plate as an essential piece in your home. As a long lasting accessory to your stove, you can rely on this piece to provide safety, fuel efficiency, and beauty for many years.